What’s happened in March and April 2018? 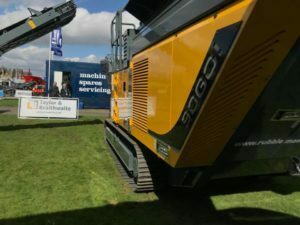 In the past months we’ve seen machines leave from all product ranges. These included Hyundai, Pronar, Maximus and Rubble Master. 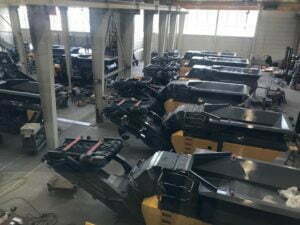 T&B technicians have had to work hard lately to get over 20 new machines ready to send out in line with each customer’s specification. 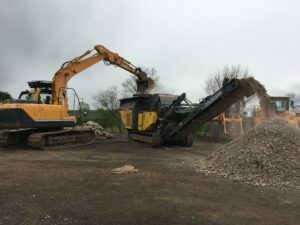 As well as Hyundai machines, two Maximus machines (a 516 Vibrating Scalper & a 522T Sizing Screen), two Rubble Master machines (a RM90GO! Crusher & a RM100GO! 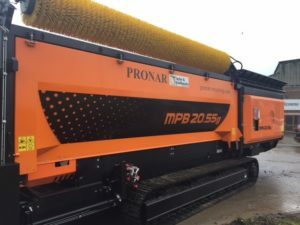 Crusher) and a Pronar MPB 20.55g Trommel have all left T&B. 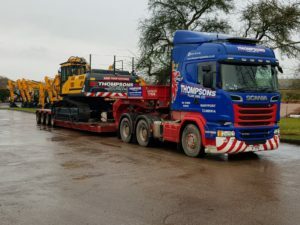 Recently T&B took over another warehouse on site, this was a good opportunity to expand our parts department and keep up with demand for spares. 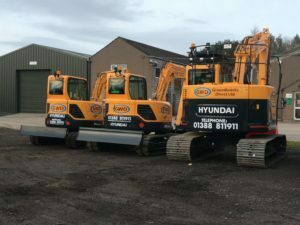 This has allowed us to expand our parts warehouse meaning a larger stock is held on site enabling us to respond to customer requirements much faster. The extensive range of parts available covers all makes and models and are all available for next day delivery. 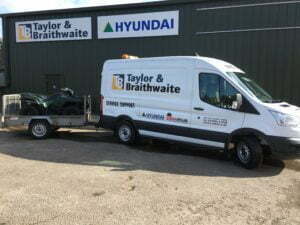 Due to continuous growth T&B are making further investments in our aftersales department. 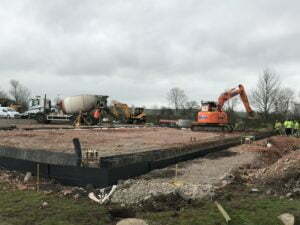 A new fully functional workshop began in March and is making good progress. 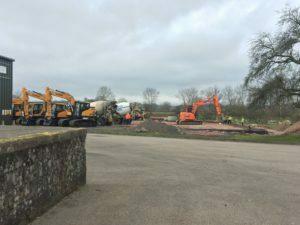 Priding ourselves on offering long-term solutions, T&B thought it would be a good opportunity to expand facilities at the depot in Cumbria, allowing us to ensure customers are fully supported throughout the lifetime of their machines. The new workshop will have an overhead crane built in as well as dedicated bays enabling machines to be PDI’d more efficiently. 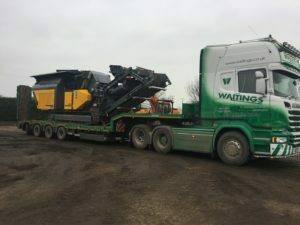 Back in 2017 Scott Young, Phillip Carruthers and Walker Groundworks all purchased RM machines from T&B. 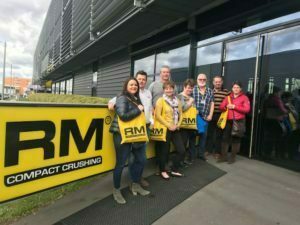 Kevin Bell, one of our sales representatives, took these customers to Austria at the start of April to visit the Rubble Master factory. 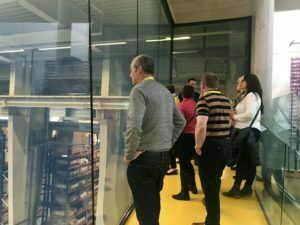 This trip was organised to allow the customers to see fist hand the factory in Linz, as well as this a day was set aside for the guests to be tourists in Vienna. Speaking to one of the guests, the time spent in Austria was lovely and everyone felt very welcomed by the professional staff at Rubble Master. On the 20th & 21st of April the sales team went up to Edinburgh to promote the Maximus and Rubble Master product ranges at ScotPlant. They took along with them a Maximus 409 Scalper and a Rubble Master RM90GO! 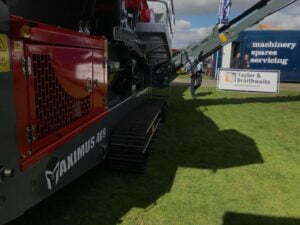 Crusher which generated a lot of interest on the Taylor & Braithwaite stand over the two days. 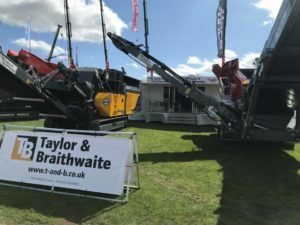 Along with the sales team of Taylor & Braithwaite, Hubert Watson from Maximus and Harald Widner from Rubble Master joined the stand and enjoyed spending time talking to existing and potential customers. 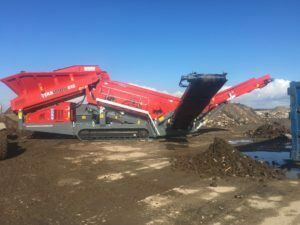 Rubble Master has recently become the majority shareholder of Maximus Crushing & Screening. These two strong brands will continue to offer excellent services to their customers as the product ranges complement each other perfectly. Both companies together offer something that is much better than what is currently available in the market. For T&B this will only strengthen the products and services that we can offer to our customers.